On Saturday 20th February, 2016 a devastating category 5 cyclone called Winston struck Fiji causing widespread damage on the northern section of Viti Levu from Lautoka in the West up to Raki Raki on the North Coast as well as many of the smaller islands. 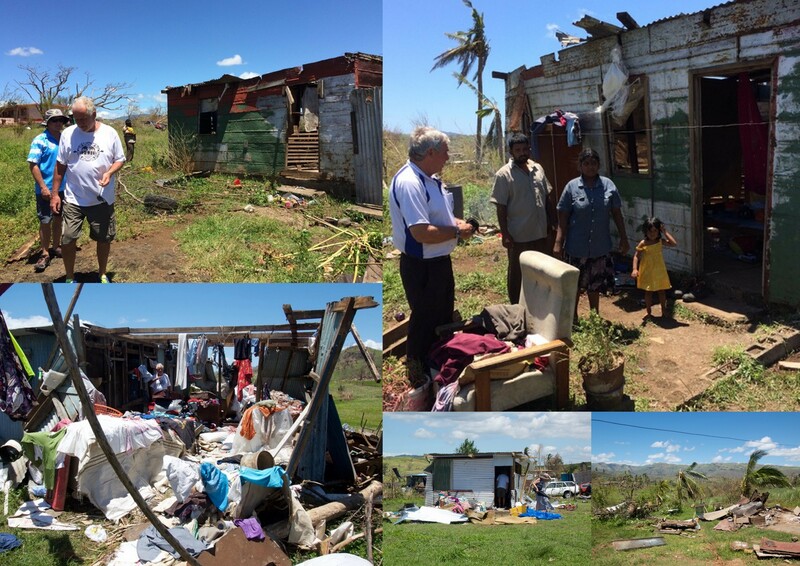 The Rotary Club of Salamanca has a long established relationship with Fiji through our involvement in the Rotahomes Project since 2005. The project involved the building of cyclone resilient buildings in a village called Koroipita just outside Lautoka. Koroipita has 231 houses all of which survived undamaged from the wrath of Winston. So raising funds in the wake of Winston, is something which the Club sees as important as part of our ongoing commitment to the people of Fiji. The funds raised will be channeled through the Rotary District 9830’s (Tasmania) Winston cyclone appeal and will be used to provide long-term, sustainable aid to Fiji.